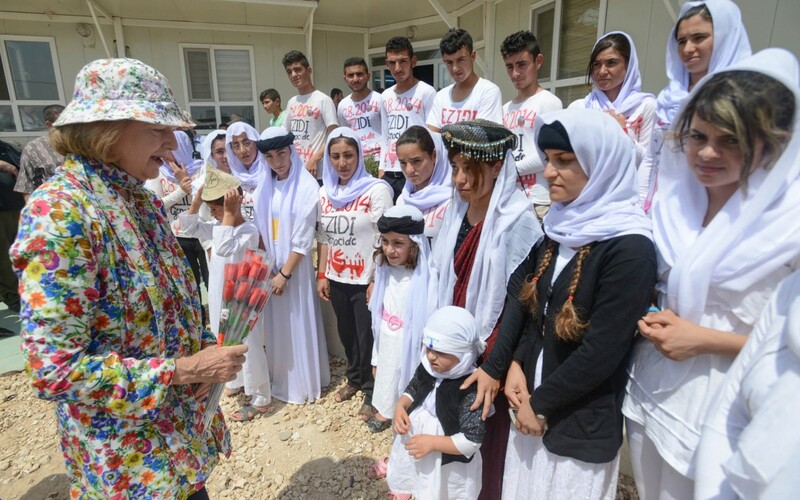 AMAR’s President, Baroness Nicholson, has welcomed Secretary of State John Kerry’s announcement that Daesh’s violence against the Yazidis and other minority groups in Iraq constitutes a genocide. The Baroness has long called for world leaders to make the declaration and she is delighted that the U.S. has heeded that call with today’s announcement. “I hugely welcome Secretary of State Kerry’s statement, and [the U.K.] Government must now follow suit, as we cannot sit quietly by as horrible crimes are perpetrated against innocent men, women, and children in the Middle East,” commented Baroness Nicholson. Secretary Kerry’s announcement came just days after the House of Representatives unanimously passed a resolution labeling Daesh’s atrocities in Syria and Iraq ‘Genocide’, and ahead of a similar debate in the U.K. Parliament. “This coming Monday the House of Lords will be debating the Genocide carried out by Daesh, and it is important that these crimes are recognized and condemned across the world.